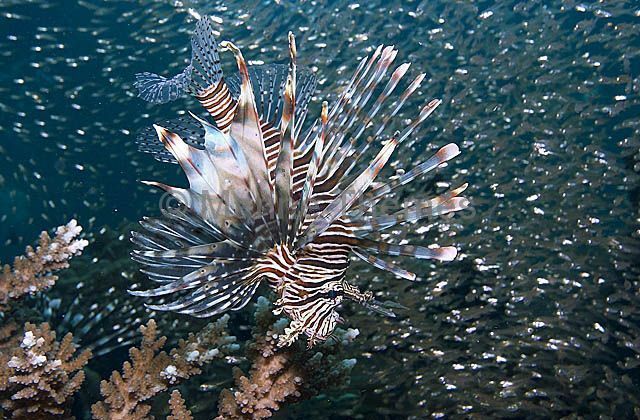 Red Lionfish (Pterois volitans) Juvenile. 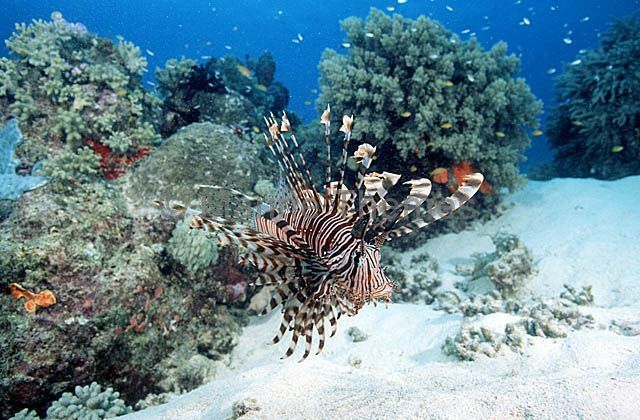 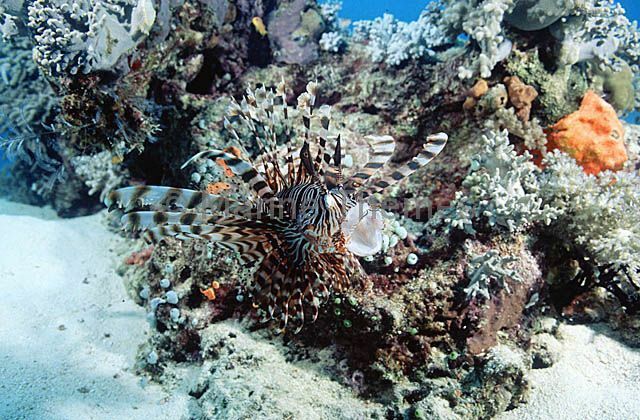 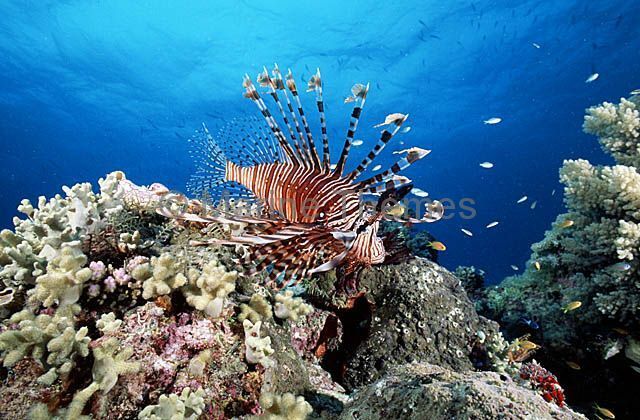 Red Lionfish (Pterois volitans) hunting over coral reef. 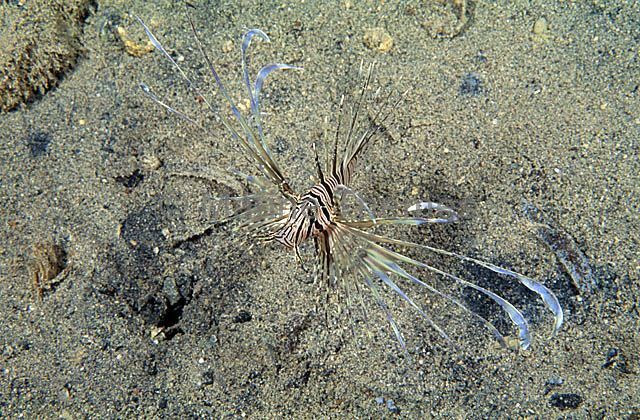 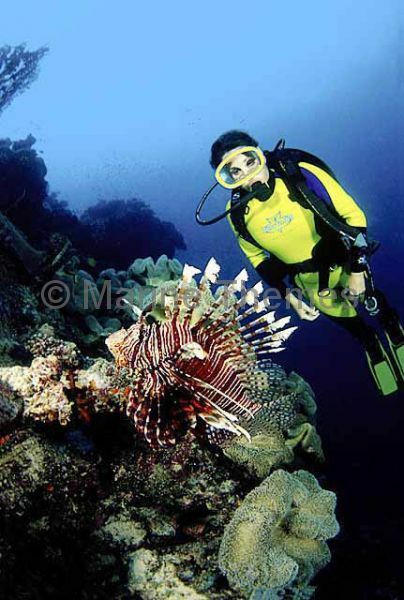 Red Lionfish (Pterois volitans) Yawning threat posture. 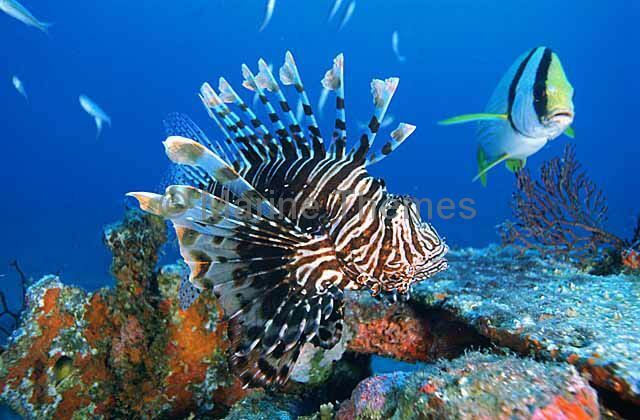 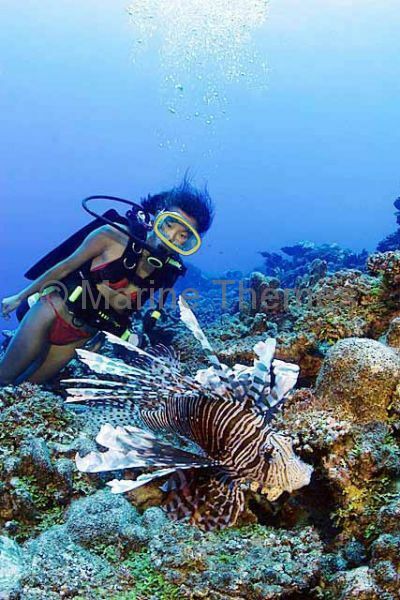 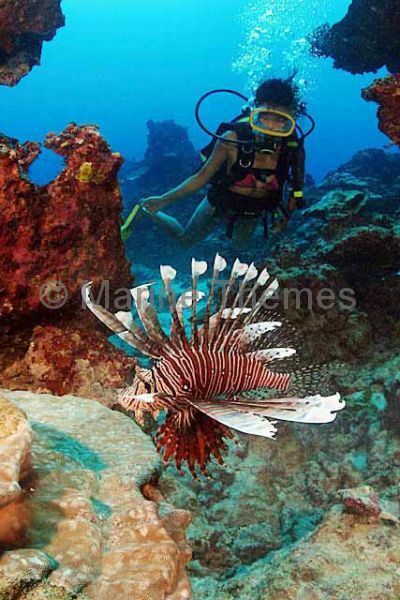 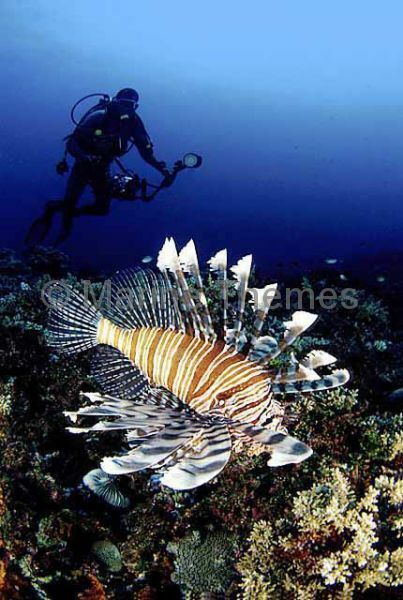 Red Lionfish (Pterois volitans) and diver. 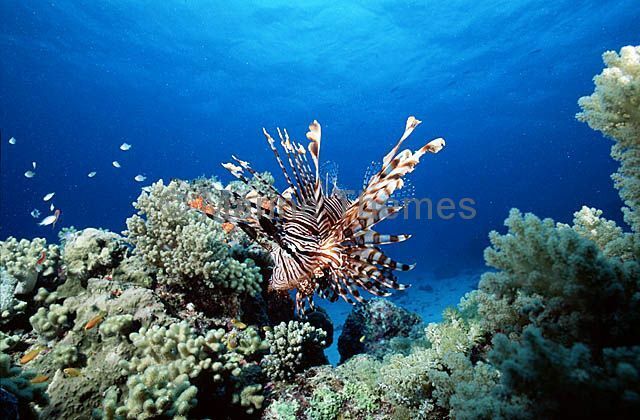 Red Lionfish (Pterois volitans) hunting Damselfish at dusk over coral reef. 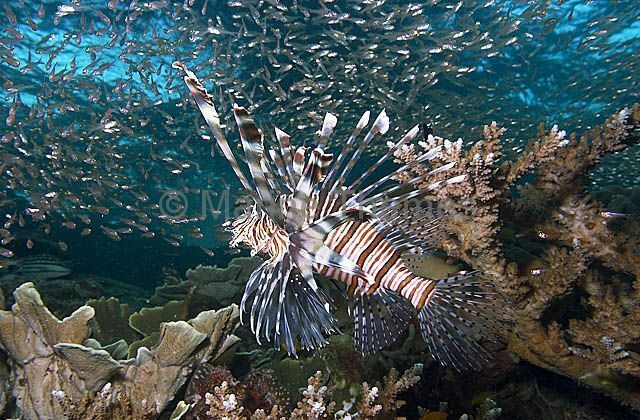 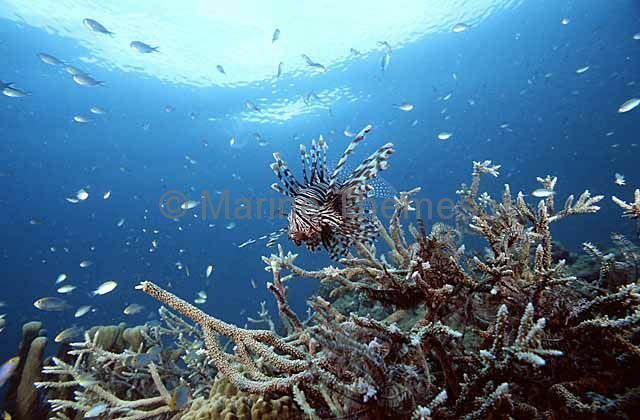 Red Lionfish (Pterois volitans) hunting and feeding on Damselfish at dusk over coral reef. 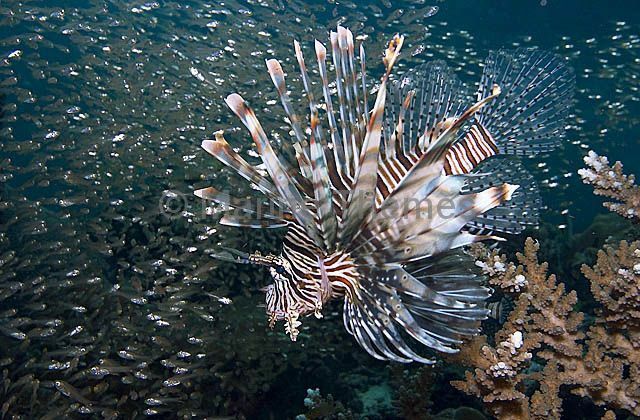 Red Lionfish (Pterois volitans) hunting at dusk. 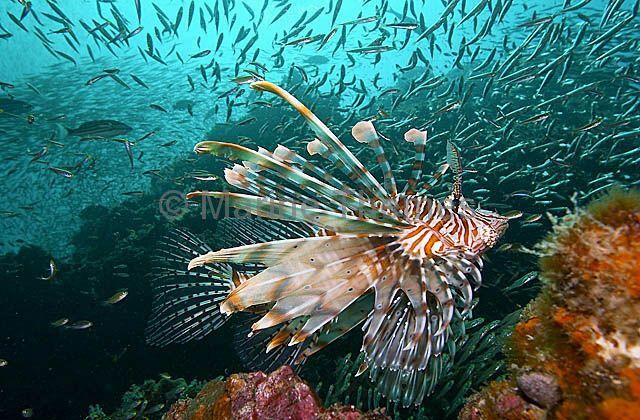 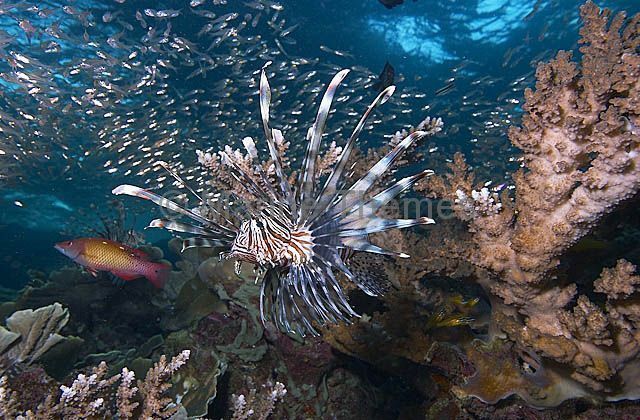 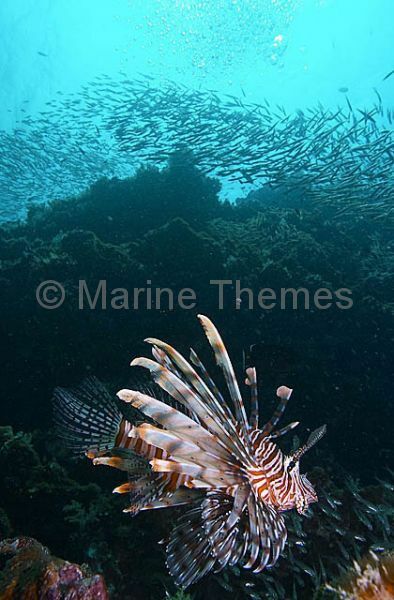 Red Lionfish (Pterois volitans) hunting Long-spined Glassfish (Ambassis interrupta) over coral reef. 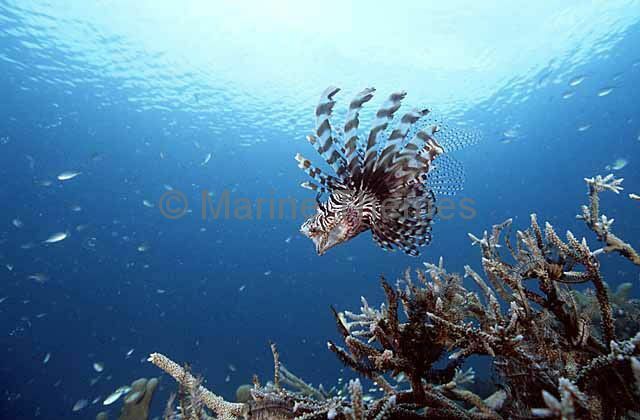 Red Lionfish (Pterois volitans) hunting Long-spined Glassfish (Ambassis interrupta) over coral reef at dusk. 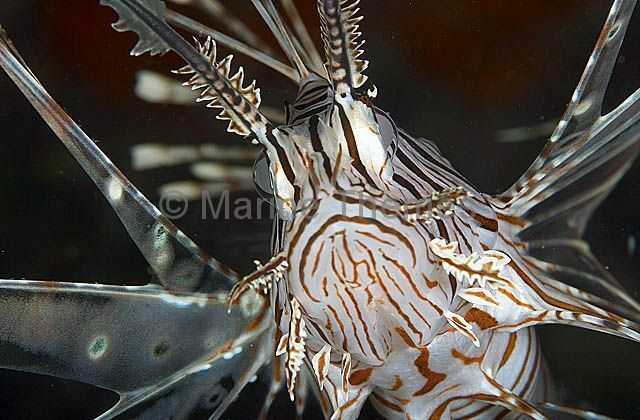 Red Lionfish (Pterois volitans) Portrait of young adult.